Select an album and a track from the lists below, to see the lyrics and some of the stories behind the songs. You&apos;re even calling up your ex! What have I done to you?! My bank account is empty, buying replacement Jimmy Choos. and G&T and Jaegermeist&apos;er was a lotta fun! Rehearsed my lines so I could say "Ich liebe dich", "J&apos;adore"
I sold my heart and soul to the glass of amber gold, One Too Far. She didn&apos;t look so sweet when Id trodden on her feet, One Too Far. I shook my head and I could see no more. and a whisky was waiting on the bar. 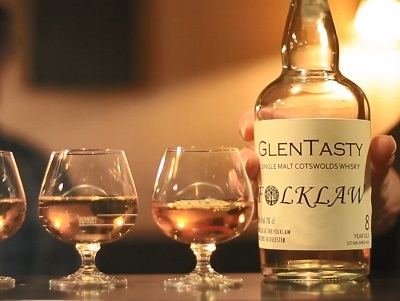 With a 1-2-3 they lifted me to a whisky on the bar, One Too Far. Pluck those strings while the caller sings and set those feet a dancing. She said "Young Joe, you gotta settle down, forget about that 5 string sound"
sat on his porch and puffed away on a joint the size of a cuban. I ain&apos;t bitter, cos in the end I know, that I made them. Till the daylight fades and the stars come out to shine. And the willow&apos;s dappled shade will be my home. Talk to me. Talk to me like the sparks thrown from the fireside. touching mans forgotten lives from a thousand years ago. I hear the vikings roar. I hear the rich, I hear the poor. And when all these things are said and done, talk to me. for more than I can count by generation. as in Stroud scarlet many men met their salvation. we&apos;ll never be told say the farms of the Cotswolds, &apos;cause we are the Gloucester boys. we built up our county&apos;s first foundation. we became the pride of our whole nation. push through the wire for our dreams of the shire. We trade the waters of heaven for our homes by the Severn. We are the Gloucester Boys, we are the Gloucester Boys. 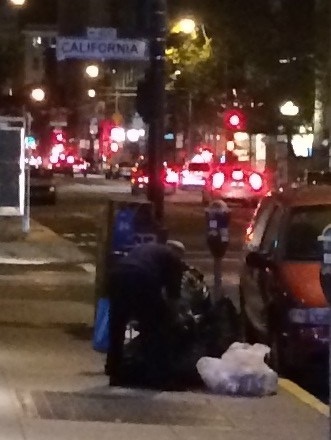 And his fiddle to play another day. 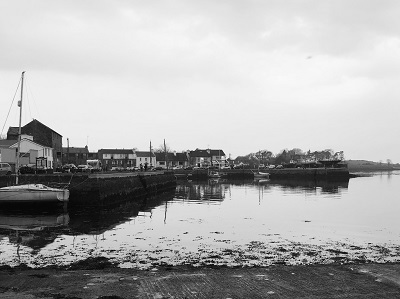 for the drinking of the red wine, and skimming stones off shore lines. and I&apos;ll go to where the mountains touch the sky. &apos;cause this times not coded on my screen. and I don&apos;t know, how this will all go. we&apos;ll find a way to ease some troubled souls. Yeah this is our time, for singing in the sunshine, with voices that all intwine, as the people sing the bands lines. They go: Ba ba ba ba da da da, la ba da da da da da, Ba ba ba ba da da da da da. Ba ba ba ba da da da, la ba da da da da da, Ba ba ba ba da da da da da. it&apos;s rhythm moving feet time, and dancing to the FolkLaw fiddle line. She&apos;s the girl with the heart of steel, hot as hell like her Sheffield mills. Mines the girl who made my babes, brought to me by the oceans waves. I&apos;ve journeyed far and I&apos;ve journeyed long. Round the world as I&apos;ve sung my songs. Back in the day, we first met. No power on earth can divide us yet. No greater joy have I yet found, than stood together in this wall of sound. Left to right my friends surround, the quaver and the stave, from Cradle to the Grave. 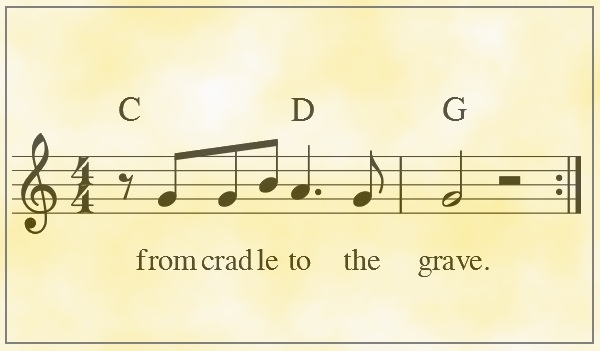 The quaver and the stave, from cradle to the grave. One of our first memories of this song, was in the back of a white ford transit van back-stage at BearFest. The rain was lashing down outside and FolkLaw were next band on the stage, but Nick was so keen to try out the song that he&apos;d just written, there was a last-minute rehearsal and Martin managed to learn the song in a blinding 10 minutes It was played out that same day on the Bearfest stage and they&apos;ve never looked back. Different people manage to see different things in this song... Lyndon&apos;s managed to find references to marajuana in nearly every line and reckon&apos;s it&apos;s end-to-end about a life of music and the ganja leaf. Others see it simply as a story of a wayward lad finding his redemption in music. One thing&apos;s for sure - the banjo is pretty cool - and we need one in the band! There were quite a few attempts at album covers for Smokey Joe. Early cover prototypes had Nick rodeo&apos;ing on a cow at a cattle ranch while Bryn danced with his guitar on the porch, while other attempts were deemed a bit too edgy and got vetoed by the pc brigade at BWM Promo! The final print inside the album case means you can actually take the banjo out off the wall as you put the CD in the CD player, we hope enables you to feel almost part of the band. The missing link in the line-up where you can lift the instrument and play that 5 string sound. I Made Them was first played live in 2013 by Nick and Bryn as the duo at the fantastic Wads Stock Festival. The infamous day when Bryn ripped his trousers in front of a packed crowd while mounting the table with Bodrhan flailing! What&apos;s less well known is that a group of local lads and lasses had a private FolkLaw gig in the grounds of the Wootton and Dry Sandford Community Centre just 2 hours prior to the main festival. It came about when the FolkLaw duo made for a quiet spot to get some rehearsal time on I Made Them, and while rehearsing by the graffiti sprayed walls a small crowd of 5 or 6 youngsters built up and before you could say "main-sail" a mini-gig was happening. The photo on the right was taken by the happy crowd just after the gig. Not sure if the mural is still there or not... but if you find it, you&apos;ll notice that the photo&apos;s been strategically cropped to avoid quite a few slightly less imaginative spray painted offerings which had been the skulls companion for many years. Not your normal FolkLaw back-drop but one to remember. After that day in 2013 "I Made Them" was put back in the cupboard and in fact never played again until Martin joined the band and helped bring the song alive with his sparkling guitar work. You can also catch the song in a live video of "I Made Them" at Banbury Folk Festival - one of the gig highlights of 2015. Contrary to the popular legend told at gigs, Waterways of England was mostly written on the towpath of the Gloucester and Sharpness Canal. Walking back to Saul from Gloucester docks in the sunshine with that steady pace and the feeling of peace with the world as you leave Gloucester and find your self in the countryside, gave rise to the verses of the song. It is true though that a few weeks later, FolkLaw percussionist of the time Marty Fitzgibbon sat under the branches of a weeping willow tree in the grounds of the Trout Inn at Lechlade Riverfolk Festival, said he thought there was nothing better in life than that moment by the river in the shade of the tree ...and the rest of the song was born. 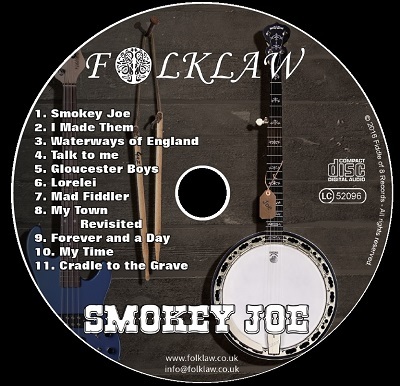 As well as appearing on the Smokey Joe album as a proper polished studio recording, live versions of the Waterways of England can also be found on the collection of Songs of the Inland Waterways www.waterwaysongs.co.uk, the FolkLaw live album "Live at Treefest". The song was also captured on film at the Bath Folk Festival "New Shoots" show in April 2013. We long wanted to find a song for Gaz to sing and to showcase his fantastic voice. 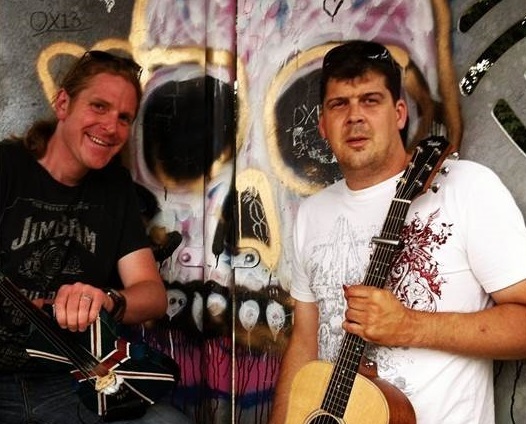 After going down a few rabbit holes and even seeing a few gigs with nick on Mandolin we decided to write a song for Gaz, about Gaz, and a song he could sing and believe in. The words sum up our Gaz and what he&apos;s about - at one with the countryside, and his log burner, and the countless days walking the fields with his sheep-dog Fly in search of his historical artefacts from the Celtic, Saxon and Roman times. Sadly Fly&apos;s no longer with us now - but he&apos;ll never be forgotten, he&apos;s here in the song for eternity, and his spirit is still running over the fields. "Talk to Me" was only rehearsed a couple of times before it was recorded - but it&apos;s helped to keep it feeling fresh on the album. First time the song was tried out was back-stage at Stroud Subscription rooms, upstairs while the Wurzels were doing their sound-check. It hit a few problems though... the Dm key was great for fiddle players but wasn&apos;t working for Gaz&apos;s voice and Gaz wasn&apos;t too happy about the lyrics - which were talking about "sparks flying from the welders gun" and stuff like that!... so over the next few months the song was re-hashed, shifter into Bm (which was great for Gaz&apos;s voice and a PITA for the fiddle) and then pulled together in a second attempt at Gaz&apos;s house just days before going in the studio. First played out live at Cheltenham Food Festival in 2016 and now hopefully a feature of many FolkLaw gigs to come as we love the song and it&apos;s Nick&apos;s favorite on the album. Gloucester Boys began life during a photo shoot we did just before TreeFest at Westonbirt Arboretum. We stood in a very freshly ploughed (but not planted and we were very careful don&apos;t worry!) field. Our photographer on the day was brilliant, and very dedicated so not unreasonably took some time getting great pictures (you&apos;ve probably seen some of them on the website)... ...and in this time, stuck in position Bryn found himself kicking the earth. As he did so the handle of a 1930&apos;s cup showed its self. Bryn called over to Gaz, pulling his leg due to his own love of the earth via his metal detecting and informed him of the new found "hoard"! Quick as a flash Gaz pointed to the tractor finishing the ploughing in the distance as said "that&apos;s no hoard, that that blokes great great great grandfathers lost mug." ...."Oh my families worked the land, of the fields in which I stand, for more than I can count by generation." Bryn sang the line there and then, and the tune, the lot, was in his head. That idyllic day continued as Bryn went on to Sunday lunch with his parents and in talking with his Dad learnt for the first time about Stroud Scarlett and that until recently all of the red scarlet of the British Army; like you see at the change of the guards at Buckingham Palace, was made in the mills in Stroud. The material would be dried after dying, by spreading out on the surrounding hillside...."Oh these hillsides clothed in red, dry the tunics of the dead as in Stroud Scarlet many men met their salvation"
The seeds of the song were born, and all Bryn needed to finish it off was a good drive - to focus on the rest of the song writing! And so it happened that on one trip while driving alongside the river Severn, and passing by the trees of the Forest of Dean on the way to meet friends - all the thoughts combined - the friendship "Pals Companies" that joined the First World War efforts together, and inspired by the commemorative year that it was, the song was written. We hope it does justice to the Gloucestershire Regiment (The Rifles), about whom the songs written and in whose ranks some of our families have served in times past. 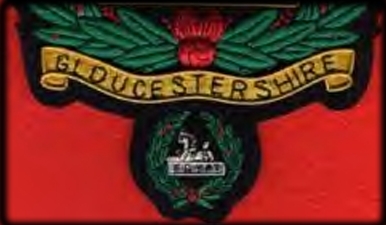 They are the only Regiment in the British Armed forced to be allowed to wear a "back badge" on the rear of their Beret. A song of few words and many emotions. Some reviewers in the folk press said of the Tales That They Tell album that they felt of all the tracks, "Gypsy Rain" was one of the songs that projected best - being a more softly spoken personal message straight from the heart. Lorelei found itself floating in a similar vein. With the simplicity of the guitar and difficulty of the vocals we were initially sceptical of whether the recording would work. ...but in the end, thanks in part to those reviewers positive comments on Gypsy Rain we gave Lorelei the studio time, and over the course of a few months it grew and mellowed into a beautiful track. If you want to get closer to the touch and sounds of the song, head over to Rukin&apos;s Campsite deep in the Yorkshire Dales by the river Swale. It&apos;s one of those rare places where you can camp by the stream and light a fire in the evening. Take a walk around the upper swaledale waterfalls and you&apos;ll be in the place where the song Lorelei was born. Whether this song was inspired by Mad Fiddling Mark Knight or not, we&apos;ll probably never know! He&apos;s a mean fiddler mind you... we remember seeing him spinning round on the spot while fiddling for K-Passa in Gloucester Guild Hall, and he took over from Nick in the Bleeding Hearts in 2010... ...but he&apos;s not Scottish and he hasn&apos;t got a sweetheart in Tiree ...yet! What&apos;s for sure though is that Murphy&apos;s Bar in verse 3 is a million miles from Scotland. Murphy&apos;s Corner in Bremen is the place. One of those real live music venues which gets very warm on a gig night, the barman wears chain-mail behind the bar sweltering in the heat, they keep the windows shut to try and keep their music license and crazy things always seem to happen. It was one of those nights in 2005 on tour with the Hearts when Nick was taken by some kind of possession of the mind*, stepped on to a chair, then went one further and played his fiddle on the bar, before dancing his way between the ashtrays and glasses of Guiness. It&apos;s the kind of thing that most landlords frown on, but in Murphy&apos;s corner everything goes, and on that night everything went, and it&apos;s stuck in the mind for over 10 years. * might have been one too many JagerMeisters! Maybe because it&apos;s because we&apos;re all getting a bit older, or maybe it&apos;s the joy of playing in the band, ...but as the days go by FolkLaw find themselves less angry with the world than in days gone by. Nothing much has changed for the better in the outside world of course but we reckon there&apos;s two ways of reflecting on it - like in "I Made Them" you can either tell a tale of a down-trodden barrelman stuck up in the crows nest, or a tale of the pride felt by a young man who finds greatness and whose heart leaps when he discovers land. In the Smokey Joe album pretty much every track is a positive tale. We really wanted to keep it that way, and very nearly left "My Town", out of the track list just on that basis - but here it is "revisited"
Despite appearing on this latest album, My Town was the very first FolkLaw song ever written - way back in 2010 (during the angry disgruntled phase). But it&apos;s a song that&apos;s transformed over the years, and the track on Smokey Joe is a million miles from the solo guitar & blues-harp track that first appeared on Nations Pride. We&apos;re still playing it a lot at gigs too, and as Nations Pride is on the verge of being sold out and won&apos;t be re-pressed, we thought we&apos;d revisit the track with the new full band flavour. My Town was written when Nick had only just departed ways with the Bleeding Hearts and is heavily influenced by his time on the road with the band. Verse 1 talks of Nick&apos;s old home town of Bristol, while vs2 heads to the Axe & Cleaver in Boston Lincs, vs 3 the sights and sounds of Vancouver on welfare wednesday when the drugs come in on the coast, and there&apos;s a smattering of Winnipeg and Gloucester thrown in. Every town across the world has it&apos;s bright lights contrasting with it&apos;s darker side, and the song really could&apos;ve been written about anywhere in the world. Forever and a Day - a song about living your life on the road, self-sufficiency, eco-friendly societies and taking time for the important things in life! 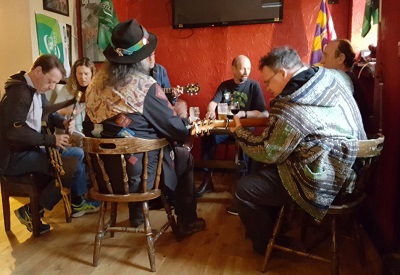 Inspired by the community of the Tubingen caraven site in Germany where Nick and Gaz played a solar-powered gig with the Hearts and the post-gig folk session around the campfire which followed. They didn&apos;t grow their own wheat, but they did bake their own bread and it was fantastic. It was also the same gig where the bass player fell through a rotten floor-board in the stage and his notes blew away in the wind (bass players eh?!) ...but they&apos;re stories for another day from a long time ago. To the right you can see the prototype album cover from the time when we thought the album might&apos;ve been called "forever and a day". The constellation patterns represented characteristics of the members of the band (can you work out which one was for which person?! now there&apos;s a challenge!). In the end it never made it through the artwork screening process, but it was Martin and Emma&apos;s favorite of all the prototype album covers, so we ended up keeping it in the inside sleeve of the smokey joe album, hanging on the wall in a picture frame for posterity. Turns out Nick didn&apos;t know this, but when we put the notes together for the CD, Bryn revealed that he&apos;d been thinking of Nick when he wrote the song - a song about being out walking, enjoying nature, and family and drinking plenty of red-wine. 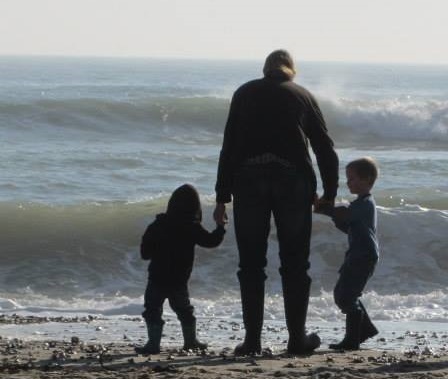 Bryn imagined Nick teaching his lads that essential life skill of "skimming stones off shore lines" just as he&apos;d taught his own children that law-of-physics-defying Dad magic a few years before! 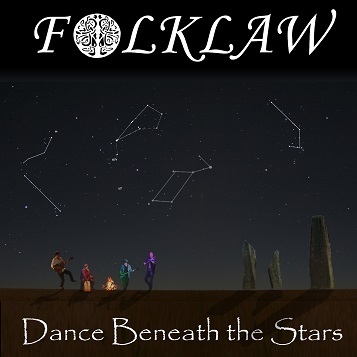 The final phases are based around the whole band and the fantastic FolkLaw audiences we&apos;ve had over the years. We did a festival gig once where another band were in the artist tent behind the stage and being unable to hear clearly they were just humming along with the tune. Bryn coupled this with a memory of our friend and fabulous song writer Gerry Colvin when we played on the same bill as his band. He had the whole crowd singing "Ba ba ba da da" during one of his songs. Bryn thought that sounded like a great idea as everyone remembered the words! Some months later Bryn found himself absent mindedly singing out loud "Ba ba ba" on tour with CQ and from next door came "da da" in reply and out jumped Gerry! From that moment Bryn reckoned a FolkLaw song definitely needed something that memorable and here it is in the middle of My Time. The final verse is a nod to the FolkLaw rhythm section that get those feet moving and "Dance to the fiddle line". 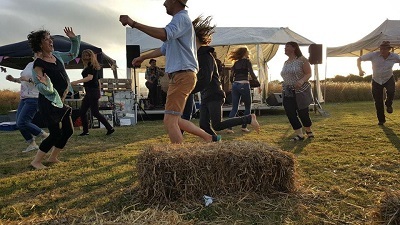 Bryn was running out of ideas by that stage, so that bit repeats, but when we find ourselves at a festival with everyone itching to dance - it&apos;s great cos it means we don&apos;t have to stop! Some would say as its drop-D tunning like Leaves of Gold from our album Tales That They Tell, is just an excuse for Bryn not to have to retune to quickly and keep people on their feet...but it&apos;s not that (honest!). Now, what to tell you about this song?! ...It started unlike any other song we&apos;ve ever written, with a desire to have a FolkLaw song to fill a particular role. Unlike some of the songs which spark out of nowhere or are inspired by a specific injustice in the world and so on, this one was planned out step-by-step, almost written to commission! We have our dancing songs, out ballads, our harmonius songs, but what we didn&apos;t have and what we really needed was our own quiet gentle end of the night encore song. We also wanted a song where we could take a verse each and make sure we could include the fantastic singing voices of Gaz and Martin. Choosing a subject for the song was a bit tricky... something we all have in common that us and hopefully audiences would all feel connected in singing? It didn&apos;t take long to settle on love, music and friendship. Things that will last from cradle to grave. We started realising it could be the final word on the album, and probably the final word in the quieter gigs at folk clubs and so on.... "No greater joy have I yet found, than stood together in this wall of sound. Left to Right my friends surround..."
We Will Rise charts the life and times of Mary Macarthur - campaigner for womens rights, who fought for the Women Chainmakers of Cradley Heath and the countries first ever minimum wage. Mary MacArthur also campaigned for the Suffragettes and the female vote, confronting parliaments Cat and Mouse laws, which had seen hunger-striking suffragettes repeatedly released from Holloway prison only to be re-arrested as soon as they&apos;d recovered. The song has been in the workings for a long time, every since Nick and Bryn first played the TUC Chainmakers Festival as a duo in 2013. The lyrics for the verses were around since autumn that year, so you could say it's a song that's been 6 years in the making! For a long time the song was waiting for a fitting chorus, and it finally came to life in late 2018 borrowing a rejected line from from track 4 on the album - the Hills of our Minds - - "we&apos;ll rise, we&apos;ll rise, from the ashes of our lives"... ...which eventually became "we&apos;ll run, we&apos;ll run , to the last of the setting sun" in that song. 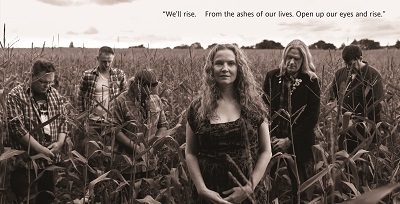 The image on the right is taken from the center spread of the We Will Rise album booklet, and was one of Gaz&apos;s ideas for a cover for the album ...strength, courage, and steadfastness in the long fight for justice. This song was inspired by FolkLaw's first tour of Ireland - the friends, the places, the Guiness and of course the legendary sessions! Travelling from County Clare to County Galway down the Corkscrew Hill to the sea of grey rock known as the Burren was brilliant and unforgettable... ...Our tour manager John also pointed out a few square patches of green in amongst the grey rock of the Burren too - where travellers in times gone by had moved the stone with their bare hands to create arable land and create farmsteads scattered among the barren landscape. A funny old reflection on some crazy relationships (not all FolkLaw ones we hasten to add!) ...coupled with a poke at mysogany and the blame game which so often accompanies those fractious times. It's never my fault eh?!! 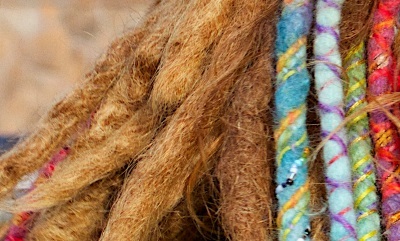 We all change over time I guess, and reading books is probably just about ok, but cutting off your dreadlocks?!!! That has to be one step too far! It's a track that very nearly didn't make the album, but when Lyndon said it was his one of his favorite tracks, we spent a bit more time on it and really glad we did. Paul Hutchinson appears on accordion in this one and adds a bit of punch in the intros, and light and shade in the verses. We reckon some of the verses even have a bit of a French baguette flavour to them, which sits interestingly alongside the English'esque folk riff in the intro, and the punky style choruses and fiddle solo in the middle. Like relationships and people, this song is a right mash-up, but we love it and it's all the better for being a bit different. We&apos;re lucky enough to live or have lived in the Cotswolds where we are surrounded by wonderful places to escape to. This song came about after a friends 30th birthday where she wanted to celebrate by observing the sunrise and sunset for the day. Being the end of August the season was changing and the last days of a wonderful summer were slowly creeping away to be replaced by a cosy autumn. We met up near Birdlip Hill, shared wine, food and friendship as the sun slowly crept beyond the horizon. As the sun finally set I was led back on the grass covered limestone hill and the moment couldn&apos;t have been more perfect. The rest of the day went a bit hazy as more wine appeared but the essence of savouring a moment, getting out and living, and spending proper time with friends stayed. One Too Far tells the tale of an eventful evening at the Arberger Hof in Bremen! The perils of whisky laid bare! Bryn and Martin had long since retired for some shut-eye, while Nick and Gaz powered on through the night sharing Schnapps with the locals into the small hours. ... and sometime just before sun-rise the liquor took it's toll, one of the regulars swayed off their bar stools and hit their head on the floor, and were lifted up with a 1-2-3, and it all kicked off - pretty much just as the song says really! We had such a good time, we wrote the song in the van on the way back from the tour and returned to Bremen to make the One Too Far music video the following year. Backstory from FolkLaw&apos;s Martin Vogwell - The mind is a wonderful thing but mine, like many other peoples, doesn&apos;t always work as I would like. We all at some point in our lives will suffer with a mental crisis whether it be during aftermath of loss or a traumatic event. But there are others, like myself, who will have long term issues that affect us over years not months or reoccur when we least expect it. Society is slowly reaching a changing point where we can all openly talk about these issues, explore the illness and support each other and this song was written as much to do that as to explain what can happen when the stillness of mind goes walkabout. Medical science has come a long way and medication is often, in my experience, the easiest and first tool for doctors to use in these days of budget cuts and a faltering NHS. But that is only one area of support that people with mental health conditions require - equally important is the support of friends, family and colleagues which can come through understanding what a person with the illness is going through. Charities like Mind can give support at a critical moment but there is nothing like love and understanding from those around you. Some of the early prototypes which never made the cut! Back-stage at Wads Stock 2013 rehearsing "I Made Them"
"The Glorious Glosters" - By our deeds we are known. "Dace beneath the Stars" - the first prototype album cover for Smokey Joe! "Left to right my friends surround, the quaver and the stave"
"With steady eyes and steely gaze, we can still stand tall"
No! Whatever happens, please don't lose the dreads!!! FolkLaw whisky on the bar in the Hof!